B.A. Ramirez & Sons Ornamental Iron Works, Inc. is Mira Mesa's premier iron fencing expert. From high-security steel fences to elaborately designed driveway gates, our ironwork always features impeccable craftsmanship, durable materials, and elegant yet functional designs. 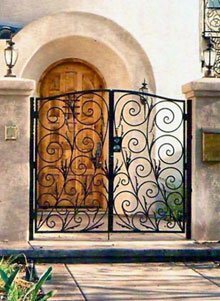 We specialize in all kinds of ironwork, including the fabrication and installation of iron fences, iron gates, iron rails, iron security doors, and iron window bars. We also offer affordable iron fence repair and replacement services. Our team consists of skilled ironworkers, who have years of experience and a high standard for quality. By offering medium- to heavy-weight tube and solid steel as well as galvanized and metallized protective coatings, we can ensure that your iron fence, gate, door, or railing is made to last. Call B.A. Ramirez & Sons Ornamental Iron Works, Inc. today for comprehensive iron work services in Mira Mesa. By offering competitive prices, attentive customer service, and a full range of ironwork customizations, we have earned thousands of satisfied clients throughout the San Diego area, including a large proportion from Mira Mesa. We are licensed, bonded, and insured, and comply fully with all state, county, and city building codes. Moreover, we back our Mira Mesa iron fences, iron gates, iron rails, iron doors, and iron window bars with written warranties. With all that we offer, it's no surprise that a large portion of our new business is the result of satisfied clients referring us to their friends, family, and business associates. Iron is the material of choice when companies need to construct strong, long-lasting fences, gates, railings, and security doors and window guards. Whether you need an iron fence to delineate your Mira Mesa property's perimeter or enclose trash bins, equipment storage, or other areas of your property, we will work with you to design an iron fencing system that perfectly suits your needs. 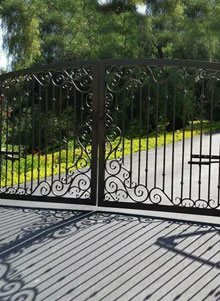 We also fabricate manual and motorized iron gates in Mira Mesa that can be modified with your choice of hardware and access control systems. In addition, we offer commercial clients a range of options to enhance safety and security at their site, such as iron security window bars, security doors, and ADA-compliant railings for stairs, walkways, and balconies. Call today to learn more about our comprehensive ironwork services for Mira Mesa businesses. At B.A. 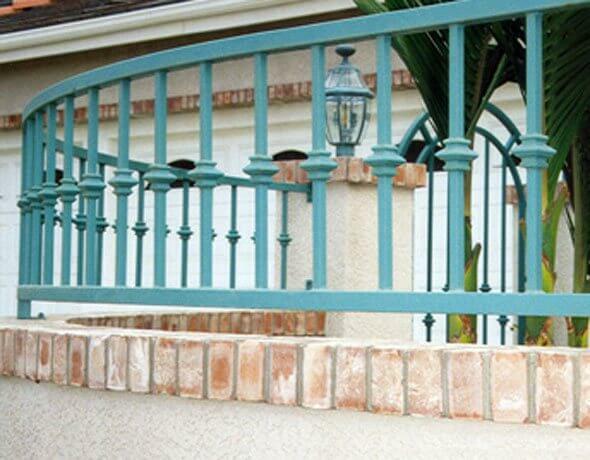 Ramirez & Sons Ornamental Iron Works, Inc., we have provided Mira Mesa individual homeowners and gated communities with attractive ironwork for over 30 years. 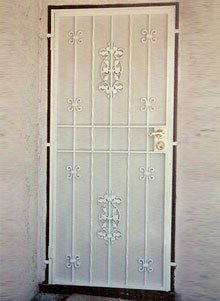 Our residential clients can call us for iron property fences, iron security fences, iron entry gates, iron security gates, iron motorized access gates, ornate and functional iron rails, and iron security window bars and doors. Over the years, our iron work has added simple, yet elegant style to Mira Mesa homes. 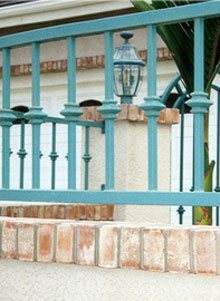 Our ornamental and wrought iron fences are perfect for enclosing Mira Mesa yards, pet areas, gardens, and pools, and can be designed to provide privacy by attaching a copper backing or steel screen. We can also install iron property line fences to clearly delineate the perimeter of your lot. Additionally, to protect your Mira Mesa home or community, we offer iron security fencing systems with heavy-gauge steel security gates and optional spear-topped or spike-topped pickets to further deter unwanted visitors. Contact us today to schedule a free design consultation or online estimate. If you are thinking about installing iron security window guards to keep your valuable Mira Mesa property safe and secure, then contact B.A. Ramirez & Sons Ornamental Iron Works, Inc.. We'll never sacrifice the attractiveness of your home or business's exterior for security purposes. Rather, we'll work within your budget to deliver beautiful and functional iron window bars that suit your Mira Mesa property as well as your budget. Choose from decorative or wrought iron window bars, with or without decorative points, hammered tubing, hand forged scrolls, integrated castings, powder coat finishes in an array of colors, and other customizations. Our iron window guards in Mira Mesa also feature code-approved fire releases. In addition to our iron window bars and standard iron security doors, we design, fabricate, and install iron entry doors for Mira Mesa clients that wish to keep unwanted visitors away from their front door. Our iron entry doors are sometimes referred to as decorative enclosures as they offer greater security while also allowing for ornate customizations. When installing this type of door, we can attach an intercom or telephone entry system that lets you control property access via a smartphone or landline. Call today and our knowledgeable iron workers with go over our many options for iron entry door installation in Mira Mesa as well as iron security doors and screens. At B.A. Ramirez & Sons Ornamental Iron Works, Inc., we have been building and installing attractive, affordable iron fences for our Mira Mesa commercial and residential customers since 1980. We specialize in designing and installing ornamental and wrought iron property line fences, pool fences, decorative fences, and security fences, all of which can be installed with matching entry doors, automated driveway gates, manual pedestrian gates, and more. Mira Mesa customers can customize their iron fence however they see fit, with options that include spear tops, ornate scroll work, integrated leaf castings, hammered pickets, wood or metal privacy backings, powder coat finishes, epoxy liquid finishes, and more. We also offer iron fence repair and replacement services anywhere in Mira Mesa. Contact us today to get a free online estimate. 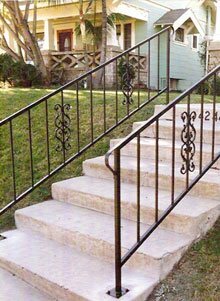 If you are looking to install a beautifully decorative or strictly functional iron rail at your Mira Mesa home or business, then choose B.A. Ramirez & Sons Ornamental Iron Works, Inc.. Customer service is extremely important to us, and from project conception to completion, our highly skilled and experienced professionals will work closely with you to design, craft, and install the perfect iron railing for staircase, balcony, or walkway. 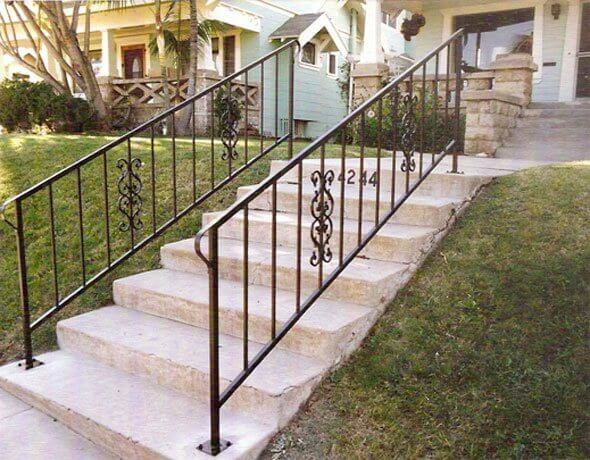 Our iron railings are made to comply with any relevant building codes, ADA requirements, and HOA CCRs. Our iron rails can each be enhanced with sprayed-on liquid epoxy (which allow for color matching) or baked-on powder coat finishes (which are available in a wide range of colors) and be metallized or galvanized for anti-corrosion protection. All forging and welding is performed in house and we will sand, grind, and buff your iron rails to achieve a flawless, smooth look. With our wide range of iron styles and design options, you can truly find the perfect iron railing for your Mira Mesa property at an affordable price. At B.A. 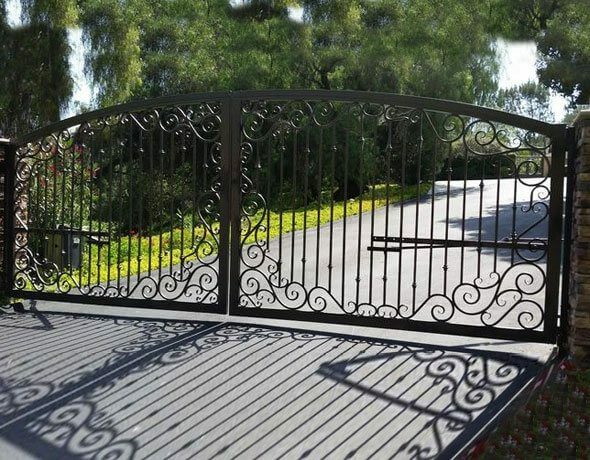 Ramirez & Sons Ornamental Iron Works, Inc., we can design, fabricate, and install almost any type of iron gate, from strictly functional iron security and access gates to highly decorative iron entry gates, for your Mira Mesa home or commercial property. Our iron gates can be made in an endless selection of custom designs and enhanced with brand name hardware from such leading bands as Ram Set, DoorKing, and LiftMaster. Because iron gates are the primary access points for entryways, driveways, yards, pools, private communities, industrial properties, and commercial buildings, we take the time to personalize your gate design to your specific needs. 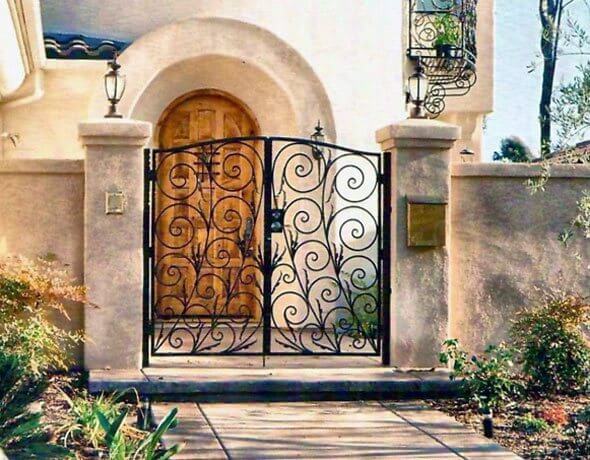 Call us today to learn more about how our iron entry gates, iron security gates, and iron access gates will enhance the look and security of your Mira Mesa home or business property. B.A. Ramirez & Sons truly excels when it comes to automatic gate installation. Our automatic sliding and swinging driveway gates are made to not only look beautiful, but also function perfectly. Every Mira Mesa gate is custom made out of premium-quality tubular and/or solid steel, hand-forged and welded in house by our experienced iron workers, and then precision installed for a perfect fit. 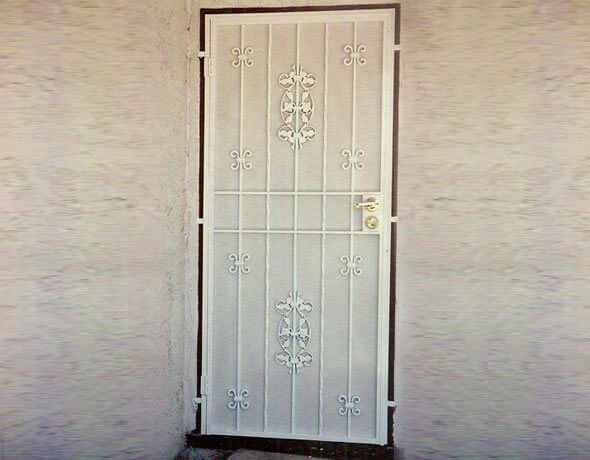 Once each gate is fully constructed at your Mira Mesa home or business, we add on your choice of hardware. We recommend DoorKing, Elite, All-O-Matic, LiftMaster, Linear, and RamSet gate openers and access control systems, but are happy to install any automatic gate opener and access control system you choose. We can also install safety features, such as reversing "photo eye" sensors, fire strobe automatic opening devices, and KNOX emergency access key switches. As part of our comprehensive service, we'll thoroughly test out your automated gate system and ensure that it is working exactly as the manufacturer intended before we consider your job complete. All of our ironwork is backed by a one year labor and materials warranty, and all of our brand name automated gate systems are backed by an extensive manufacturer warranty. To learn more, call today. Are you considering adding an iron fence, gate, window guard, door, or handrail to your property or building? Then, call B.A. Ramirez for beautifully crafted, precision-installed ironwork that will add style, functionality, and value to your Mira Mesa business or home. Contact us today for a free design consultation or online estimate. 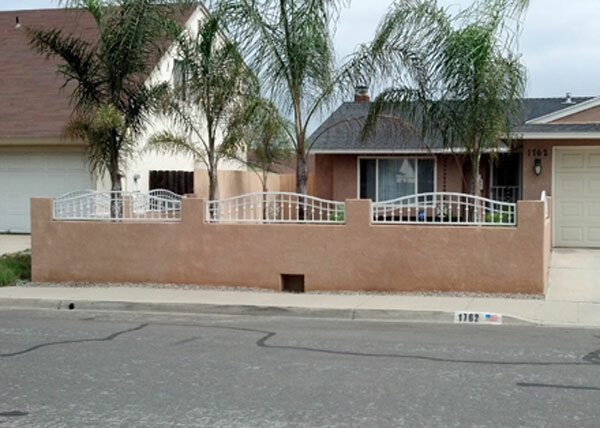 F5 This arched steel fence in Mira Mesa, CA was the perfect style and choice for our client's home. The low profile fence does not overpower the small yard and adds a nice touch to their property. The fence has a powder coat zinc primer and white gloss finish coat.